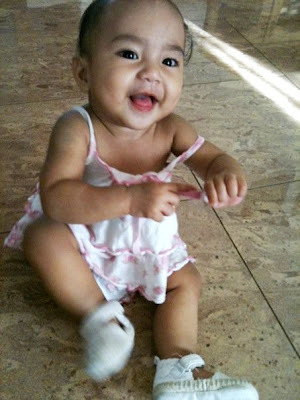 happy 9 months old my darling puteri zara adeena! Now watching each day as zara grows.... the changing of features from head to toe, the smiles and giggles that make her glow.... and the way she lets her spirit show.... I cudnt be happier sayang! Syukur Alhamdullilah..may Allah protect all of us and cherish us with love!..lotsa luv! is it about time for me?